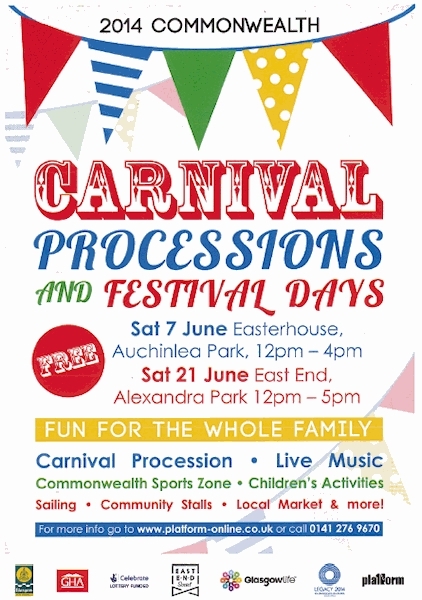 The event will incorporate a large scale commonwealth carnival procession With world music, local performances, an interactive commonwealth sports arena including sailing, and hilarious street theatre. 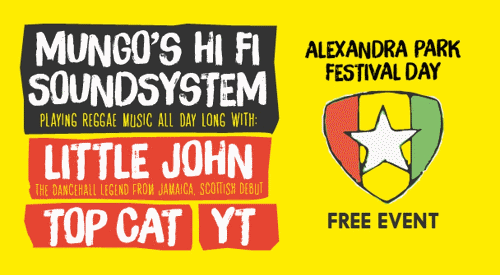 Glasgow’s Scotch Bonnet Records have teamed up with The East End Social to bring the Mungo’s Hi Fi Soundsystem to the party. Joining the Mungo’s crew will be some special guests including Jamaican reggae legend Little John, British dancehall artist YT and Mancunian MC Top Cat. The usual festival fixtures such as community stalls, local market, children’s activities and games will also be present. Hopefully some sunshine, too. Dennistoun Community Council and Dennistoun Conservation Society will also have a shared stall there, so come along and say hello. The event promises to be fantastic fun for everyone. You really don’t want to miss it!